The former principal of Dromore High School has paid tribute to retired teacher Heather Neill, who was killed in a road crash on Sunday afternoon. The 58-year-old died after the car she was driving was involved in a collision with a bus on the Moneynick Road, near Randalstown. Ex-principal John Wilkinson, who worked alongside Mrs Neill at Dromore High for many years, said she had been “loved by pupils and staff alike”. “Heather was Head of Business Studies in Dromore High School for over 20 years. She started her career in the school and soon impacted the lives of many young people both in her classes and as leader of Scripture Union. As a vivacious, fun-loving and extremely caring member of staff she was loved by pupils and staff alike. Many of us will remember her quirky hairstyles, face painting and nail art. But most of all her sincere Christian faith and love for all with whom she came in contact epitomised the way in which she lived out her life,” he said. Another of Mrs Neill’s former colleagues, Renne Marshall, posted a tribute to her friend on Facebook. “I’m lost for words Heather Neill you were a wonderful teacher, colleague and friend. All the pupils loved you, especially my Chris, with your wacky hair colour your 3, 4 inch heels - how you walked them all day I don’t know. You always had a smile on your face every day. I loved working with you. You will be so missed by all. Thinking of your love ones,” she wrote. 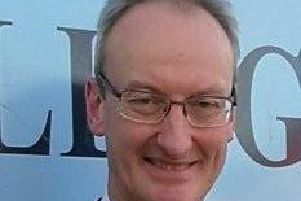 Dromore councillor Alderman Paul Rankin and former Lagan Valley DUP MLA Jonathan Craig, whose daughter is a GCSE pupil at Dromore High, also expressed their shock and sadness at Mrs Neill’s death.